Olive oil is typically that which is extracted by applying pressure on the olives. It is this extraction method thatseparates conventional olive oil from the extra virgin form. While olive oil can be generated using unnatural and chemical means, extra virgin oil is extracted using only the most natural methods. The oil is then standardized for purity and some sensory features like taste and smell. 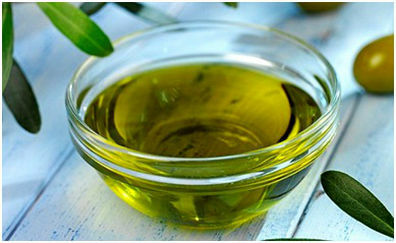 Some of the nutrients that are present in per 100 grams of olive oil are saturated fat, monounsaturated fat, Omega-6, Omega-3, Vitamin E, and Vitamin K. Some of the antioxidants that are evident in it – such asoleocanthal–have anti-inflammatory properties; another substance,oleuropein, protects LDL cholesterol from oxidation. Chronic inflammation has been linked to several diseases including heart conditions, cancer, metabolic syndromes, diabetes, and even Alzheimer’s. The amount of oleocanthal – the anti-inflammatory substance, as mentioned above–has known to relieve pain, displaying similar results as ibuprofen which is a popular anti-inflammatory drug. Cardiovascular diseases – such as hypertensive heart diseases, strokes and Ischaemicheart diseases – are some of the leading causes of death, according to the WHO. Extra virgin oil protects against inflammation, improves the functions of lining of the blood vessels known as the endothelium,and helps with blood clotting to prevent strokes. It has also been found that olive oil helps patients suffering from high blood pressure, reducing their need to take medication by 58%. A recent research published in the JAMA Internal Medicine, with a sample size of 4,282 women, was conducted. Amongst these were 35 confirmed cases of invasive breast cancer.The results proved that women could dramatically reduce their chances at being exposed to breast cancer by following a version of the Mediterranean diet that relied heavily on extra virgin olive oil. Women who had been actively pursuing this kind of diet had 62% less likelihood of being diagnosed with breast cancer than those who were simply asked to reduce the level of fat in their meal program. The fight for a healthy lifestyle begins in the kitchen. From cardiovascular conditions, cholesterol, cancer, extra virgin oil has offered innumerable benefits. Here’s your chance to take the first step to a healthy life. Buy extra virgin olive oilfrom a leading source that offers you only the purest form.